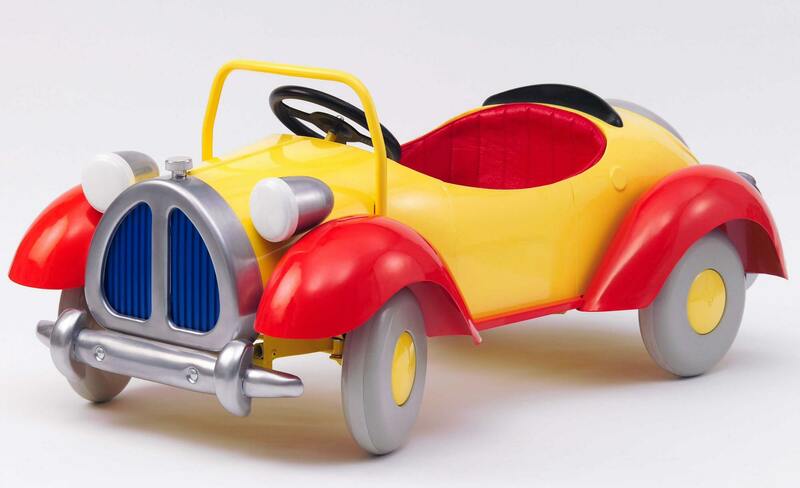 The original Noddy Pedal Car is a firm favorite for children and parents alike. A true representation of the little yellow icon. Seat Height 24cm high. Box steel chassis & Adjustable Pedals, Steel body, Duralast tyres, Padded seat. Suits 3 to 6 years old. What could be more exciting for a young child than owning his or her own Noddy car. 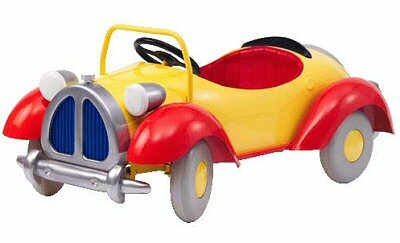 These officially-licensed Noddy ride-ons are made with all-steel bodies so they will stand up to years of active play. Finished with a beautiful and tough powder coated body, these cars will definitely be a crowd pleaser. Each pedal car is built to a very high standard and guaranteed to become a lasting fond childhood memory. 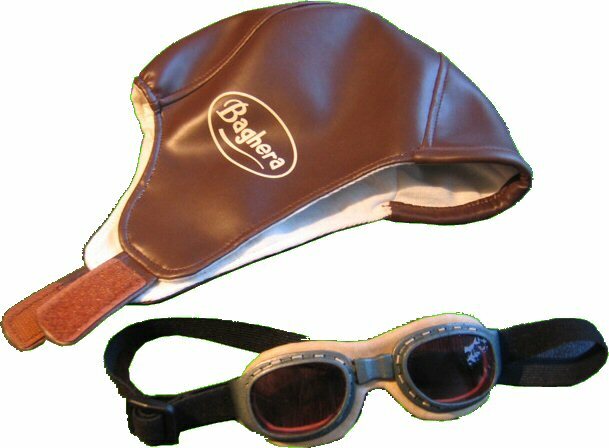 Accessories for this car include a squeezy horn and a racing hat with goggles. Noddy: Enid Blyton's Noddy is one of the most recognisable icons in British culture. Noddy began when David white the managing director of Sampson Low and Company ltd, was keen to begin a new series of books with Enid Blyton. He wanted to create a popular character for younger children with bright and colourful illustrations. David met Enid at his Mayfair office to show her sample work by a number of illustrators. Enid selected the Dutch artist Harmsen van der Beek who had provided a few illustrations for her book the Fourth holiday book published in July 1949. She insisted on meeting the artist before considering ideas for the new series. Beek traveled from Amsterdam (Holland) for the arranged meeting with Enid and and within two hours they had imagined Noddy goes to Toyland through words and sketches. A collaboration was enthusiastically agreed, with Enid and Van der Beek each receiving a 5 per cent royalty. Enid usually got 15 per cent, but accepted a lower rate because the books were going to be heavily illustrated in colour. Within four days Enid had sent off her first two Noddy book manuscripts to David White with the accompanying note: ' I have finished the first two little Noddy books and here they are. I have written them with a view to give van der Beek all the scope possible for his particular genius - toys - pixies, goblins, Toyland, brick-houses, dolls houses, toadstool houses, market-places - he'll really enjoy himself ! I don't want to tell him how to interpret anything because he'll do it much better if he has a perfectly free hand - but as Noddy ( the little nodding man ), big-ears the pixie, and Mr. and Mrs. Tubby ( the teddy bears ) will probably feature in further books, and will be "important" characters as far as these books are concerned, I'd be very glad if he could sketch out these characters and let me see roughs'. Beek worked quickly and soon Enid had received the first of many beautiful illustrations. Both of Enid's daughters remember their mother unpacking the artwork with great delight. Enid would lay them out in the lounge. Van der Beek she said had created Noddy and his environment exactly as she had visualised them. The first book Noddy goes to Toyland was published in November 1949. It is reputed that by Christmas 1958, over twenty million Noddy books had been sold in Britain and Australia.